Lolo’s Angels, Inc. is proud to announce a $34,000.00 donation to Target pediatric AML (TpAML). 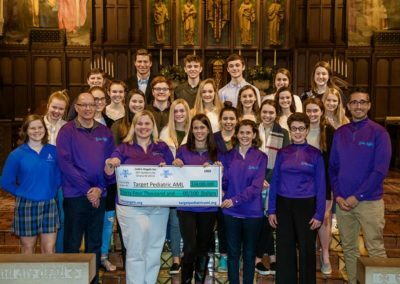 TpAML has been determined to be the highest priority initiative towards a cure for pediatric AML according to the Children’s Oncology Group. 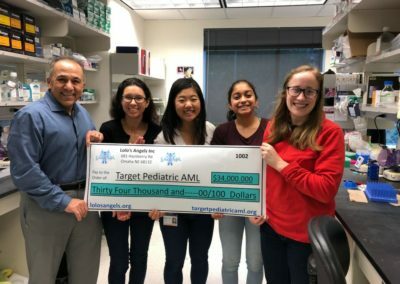 Together with our $16,000.00 donation in June, Lolo’s Angels, Inc. has now donated $50,000.00 in one short year to create immediate change in how pediatric AML is treated. We are honored to work with Dr. Soheil Meshinci from Fred Hutchison Cancer Research Center in Seattle, Washinton. We are thrilled we are partnering with Julie Julie Archer Guillot and Michael Copley from Target Pediatric AML to foster a movement of smaller foundations around the country. Together we are stronger!